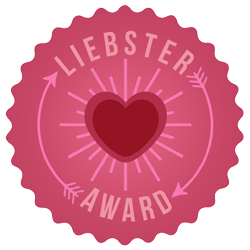 But yesterday I got some really good news, it really made my day: I got selected for a Liebster Award!!!! It is an award for up and coming blogs with no more than 200 followers. It is such a nice idea to put us on the map in that way... So thank you very much Kelly from BeautyHuddle! Would you rather travel to Europe or the Caribbean? Caribbean, I am from Europe. What made you decide to start blogging? To interact with other bloggers and share ideas. What 3 items would you want on a deserted island with you? A Family Photo-album, A bottle of water and my iPhone. What's the one thing you'll only do when you're alone? Do my nails. What would your dream life be like in 5 years? A finished house and a happy and healthy life with my husband and two boys. What are your 5 must-have items in your wardrobe? What's the perfect gift for your next birthday? What's the first thing you would do if you were a man? Which country would you want to visit, that you haven't visited before? I really would like to thank Kelly for my nomination! I really hope my nominees have as much fun with this award as I had. Lovely blog - love the design. Now following you and excited to see more! Thank you for the kind comments on my blog! Thanks so much for the nomination honey! You're the sweetest! I have changed to a personal domain called www.dolcepetite.com, so please check that out! congrats dear, you have an amazing blog! are you interested in following each other on GFC, bloglovin, instagram and facebook? pls let me know so that I can follow you back. Oh thank you dear! I am a follower now! Thank you very much x have nice day as well!